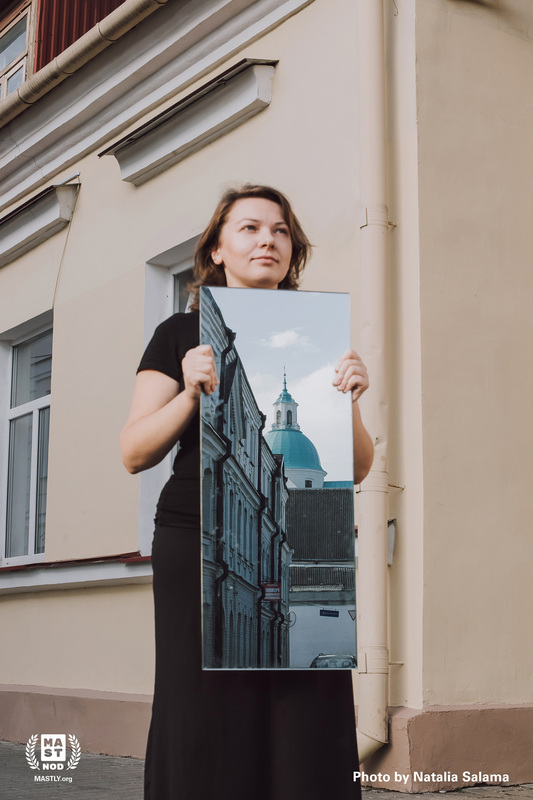 A MAST nod to People of Earth 2019 finalist Reflections, a poem by Elena Homitch with photograph by Natalia Salama. Who in the end will this land possess? Like all those historic cathedrals around. To walk in the footsteps of those from before. to study and work, then start family. But no one noticed she had mutated. Traditions and customs lost power to bind. But with peace in her heart and excitement immense. Serving, exploring – no longer “abroad”. She learned firsthand – it’s all one big home. Absorbing what’s real, repelling what’s not. She lives oh so light – very little she needs. Cathedrals and parks, big sandy playgrounds. She keeps all those memories deep in her heart. Those places and feelings, there’s no disconnect. Accepted, embraced – becoming her core. I treasure my not so accidental encounters with other artists. They often lead to lasting friendships and mutual inspiration. I prefer to express myself by means of clay and paint. When I create sculptures or paintings, it’s the viewer who comes up with a narrative. The tables have turned and my friend’s art inspired me to tell a story using words. As we go through life we accumulate experiences and memories of people and places which even years later are reflected in who we have become. As a child, I was drawn to people with cameras, and my dad’s friend introduced me to the magic of this art. I was fascinated by the process technology, the equipment and couldn’t wait to do it myself. I got my first camera from my parents and from that time on I have been exploring all aspects of life through the camera’s lens. Photographs reveal human desires, feelings and capture passing of time. In my art I strive to bring out the essence, that which is not seen on the surface. Each photograph has something from me – my feelings, perceptions, and energy. Photography is my way of reminding others to live a full life and to cherish every moment.